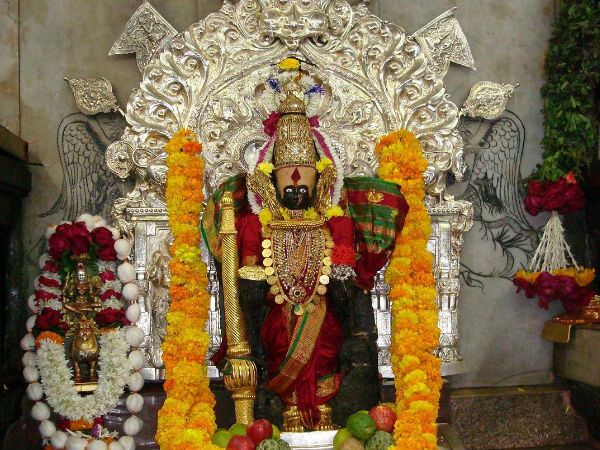 Mahalaxmi Temple is an ancient temple dedicated to honor 'Goddess Mahalaxmi' who is also known as the 'Goddess of Wealth'. This beautiful temple is situated in Mumbai and was constructed in 1785. Many devotees visit this temple to offer their prayers to Goddess Mahalaxmi and the other figures of the magnificent Hindu Goddesses like Mahakali and Mahasaraswati, adorned with stunning jewelries. This well-known temple is a hot destination for tourists and pilgrims all over the world. A large number of believers throng this temple on Fridays. During the days of 'Navaratri' festival, thousands of devotees flock this maane to witness the celebrations. Within the temple vicinity, there are various shops selling flowers, flower garlands and other 'puja' accessories. The Mahalaxmi temple is not only constructed exquisitely but is also sited beside the ocean, which is visually appealing. One can retreat from the busy city and visit this heavenly temple to experience repose and serenity. Built around 1785, the history of this temple is supposedly connected with the building of the Hornby Vellard. Apparently after portions of the sea wall of the Vellard collapsed twice, the chief engineer, a Pathare Prabhu, named Ramji Shivji Prabhu, dreamt of a devi statue in the sea near Worli. A search recovered it, and he built a temple for it. After this, the work on the vellard could be completed without a hitch.